The slogan #noalplástico is now in force at the Puerto de la Cruz town hall. 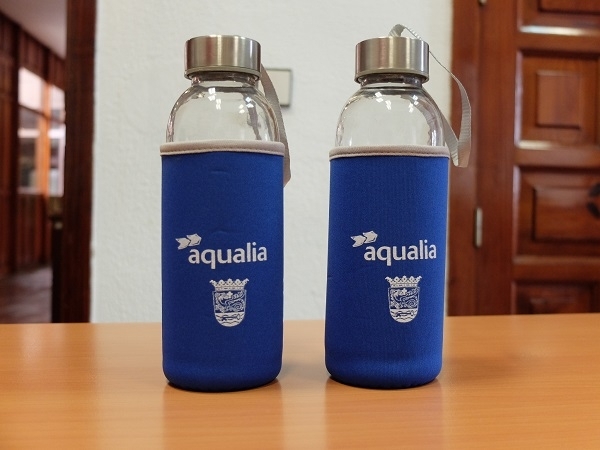 Mayor Lope Afonso, in collaboration with Aqualia's director Emilio Fernández, who is responsible for the drinking water supply in the northern metropolis, has set an example. Among the employees, 30 one-litre glass bottles were distributed as well as over 200 with a capacity of 420 millilitres. At the same time, the employees were asked to consume tap water instead of water distributed in plastic bottles, for the benefit of nature and their own health.